The leaves are beginning to turn, mums and pumpkins are beginning to decorate front lawns, sweaters are beginning to replace tank tops and shorts. It’s officially fall! And, while I love this time of year, it’s so easy to fall back into the familiar rhythm and go-go-go schedule that burns us out and makes us long for the ease and playfulness of summer. When we are constantly on the go, juggling work responsibilities, family and friend obligations, personal passions, it can become very difficult to really take care of ourselves. Even though we may love all of these aspects of our lives, trying to balance them all can leave us feeling tired and drained, stressed, even depressed. The adrenal glands, which are located above the kidneys, are mainly responsible for secreting hormones in response to stress (physical, emotional and mental stresses). When we are in danger, or there is an emergency, or even when we experience something like the loss of a loved one, the adrenals kick into gear and secrete adrenaline (also known as epinephrine). This is that fight or flight response you may have heard about. When we move into this state, our heart rate, blood pressure and mental alertness increase, and anything that we don’t need to call on to survive like our digestive and reproductive systems slows down. So you can see how this would be useful if we had to run from a dangerous situation, or avoid having a car accident, or grab your kid from falling down a flight of steps. But imagine if this was your constant state of being? And for many of us, in our fast paced world, where we are working 60+ hours a week in demanding jobs, and in some instances, jobs we don’t like just to pay the mounting bills, this is the case. We are bombarded by noise, and with cell phones, emails, texts, i-pads etc. we are constantly plugged in – there is no down time – no real, quiet relaxation time for us to move out of the fight or flight state. When we are in a chronic state of stress, not only does our quality of life suffer, but our health can be severely affected as well. One simple thing you can do for yourself to help counteract the effects of stress is to rest . 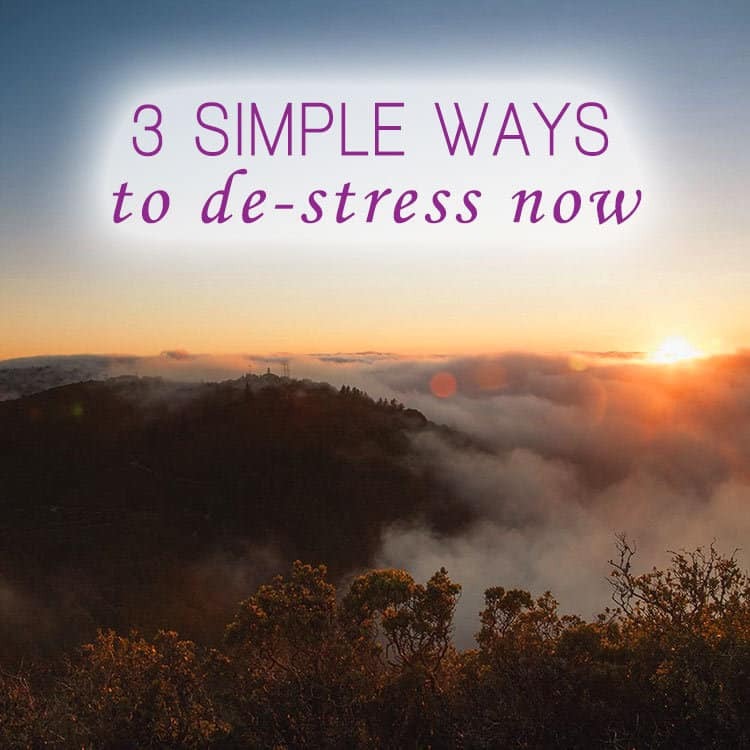 Deep rest and relaxation are key elements for dealing with stress. 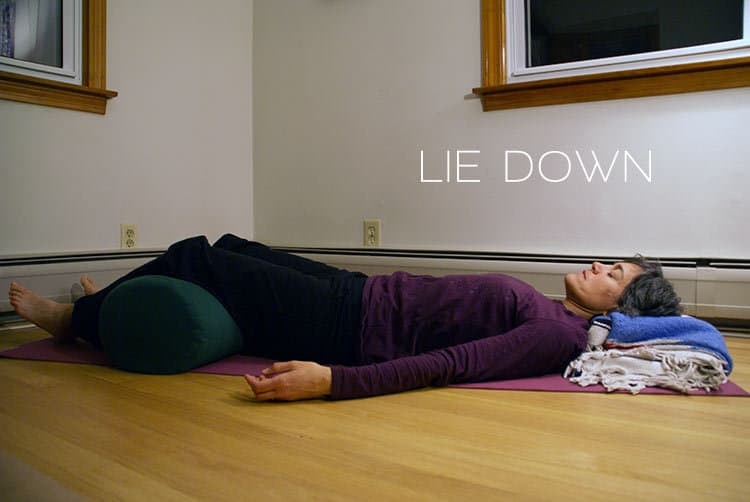 When we practice relaxation techniques, we make as little effort as possible so that we bring the body to stillness, creating the environment for the brain to quiet. 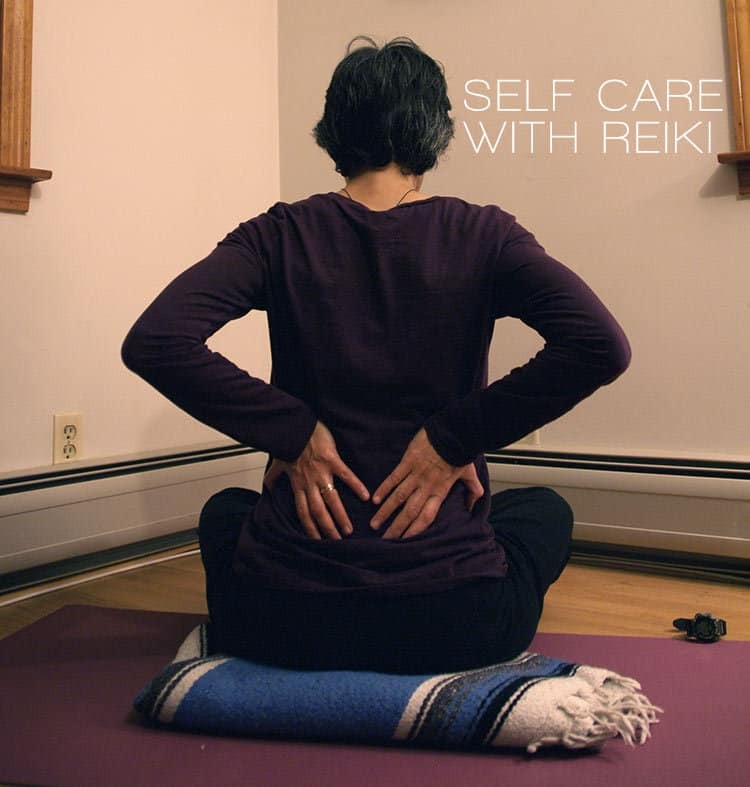 So, to help us move out of stress-mode and into a quieter, more soothing place, here are a few simple self-care techniques that include the healing practices of Reiki and Restorative Yoga. Relax and enjoy! Place a pillow under your head and a roll a blanket under your knees, and simply lie here. Feel your back body supported by the earth. Allow yourself to let go into the support of the earth. For this moment, you do not have to carry the weight of your worries; for this moment, you do not have to do anything – just breathe; for this moment, you do not have to be anywhere but here. Inhale – see if you can allow your back body to become full with breath. Let it swell gently into the ground. Exhale and begin to let go. Try to breathe slowly and gently so you don’t add to any agitation you might be experiencing. Let the rise and fall of your breath in your body massage the kidneys and the adrenals against the earth. Stay here, enjoying your breath, for 5-15 minutes. Come to a sitting position on the ground with a chair facing you. Sit with your legs crossed. Breathe in and invite your spine to lengthen up toward the sky. Breathe out and fold over from your hips – keep your spine long. Rest your forearms on the chair seat and rest your forehead on your arms. Stay and breathe into the backs of your lungs, letting them gently puff out behind you as you inhale and relax as you exhale. If you like you can place a blanket across your lower back for warmth and ease. Be here, breathing from 1-3 minutes. Come to an upright sitting position – on the ground or on a chair. Breathe your hands to prayer in front of your heart. Think of your hands as conduits for healing; let the kind, warm, calming energy of your heart come through your hands. Slowly, gently, breathe in; breathe out. Radiate kind, warm, calming energy all around you. Rub your hands vigorously together to help create heat and to stimulate the energy through your arms and hands. Place your hands on your low back; fingers pointing down toward your hips; heels of your hands resting around or just below your back floating ribs. Breathe in; breathe out gently. Let the warmth of your hands, your breath, and the energy from your heart through your hands create ease, release, calm, and comfort for the kidneys and adrenals. Imagine all the stress and worry drizzling out of you.